This tour explores Ai Weiwei's "Circle of Animals/Zodiac Heads” at Sea Lions Fountain. Tour will be led by Public Art Docent, Djamila Ricciardi and meets in front of the McNichols Building 144 W. Colfax Ave. The tour will conclude with an exploration of Ai Weiwei: Art & Social Change on the first floor of the McNichols Civic Center Building. This exhibition showcases the history of “Circle of Animals/Zodiac Heads,” the life and work of Ai Weiwei, and his importance as a contemporary artist and advocate for social justice and human rights. Tours are free and open to the public, but spaces are limited, so please RSVP to reserve your place. 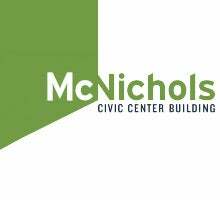 Tours meet at McNichols Civic Center Building, 144 W. Colfax Ave.